Corner of Johnson & W 253th St.
James Von Eiff State Farm Insurance office mission is to help our customers manage the risk of everyday life and recover from the unexpected in Bronx, New York. We focus on helping to save money on auto insurance, home insurance, and renters insurance in New York City. Prepare for your future with life insurance and our competitive financial services. Good neighbor customer service from our experienced insurance team. Our dedicated Team is hear to help life in New York City and the Bronx go right. We have 8 insurance professionals eager to help with all your insurance needs. 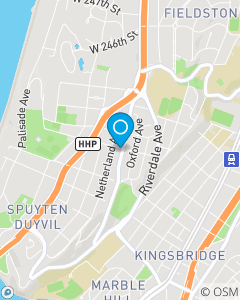 We are conveniently located in Riverdale and would love to have you stop in for a visit.